Dr. Keith A. Crandall is the Founding Director of the Computational Biology Institute at The George Washington University, in addition to being a Professor in the Milken Institute School of Public Health and the Department of Biological Sciences. My research program has three main aspects. The first and central component is work on the development and testing through computer simulation of methods for the analysis of DNA sequence data. We have developed methods for estimating gene genealogies, detecting recombination, detecting selection, and measuring genetic diversity and demographic events in the history of a population. We develop software to implement many of these methods and then develop software to test our methods and many others by comparison through computer simulation. Through comparison and tests of robustness to assumption violations, we can gain great insights into why particular methods perform well or poorly and then are in a good position to redevelop improved methodology. The remaining two aspects of my research program deal with applications of the above methodologies in two fairly distinct arenas. The first is in molecular ecology, conservation biology, and systematics research. We have applied the methods developed and tested in our lab (and many others) to examine the populations genetics, historical demography, and molecular ecology of various species of freshwater crayfish. We have also examined the molecular systematics of a variety of organisms, from the origin of dogs to the origin of freshwater crayfishes. The second focus of my empirical research is in the area of the evolution of infectious diseases. Here our main system has been HIV, but we have also now been very active in bacterial genetics, especially Neisseria gonorrhoeae and now microbiome research. Our main goal with these research projects is to explore the population dynamics, evolutionary diversity and molecular evolution of infectious disease, particularly relative to the evolution of drug resistance. The research outlined in these three main areas in my lab has enjoyed a diversity of funding from the National Institutes of Health, the National Science Foundation, and private agencies such as the Alfred P. Sloan Foundation and the Pharmaceutical Manufacturers of America. My research program is moving evermore into the genomics and bioinformatics arena and applying these insights into conservation management, human health, and biomedical applications. 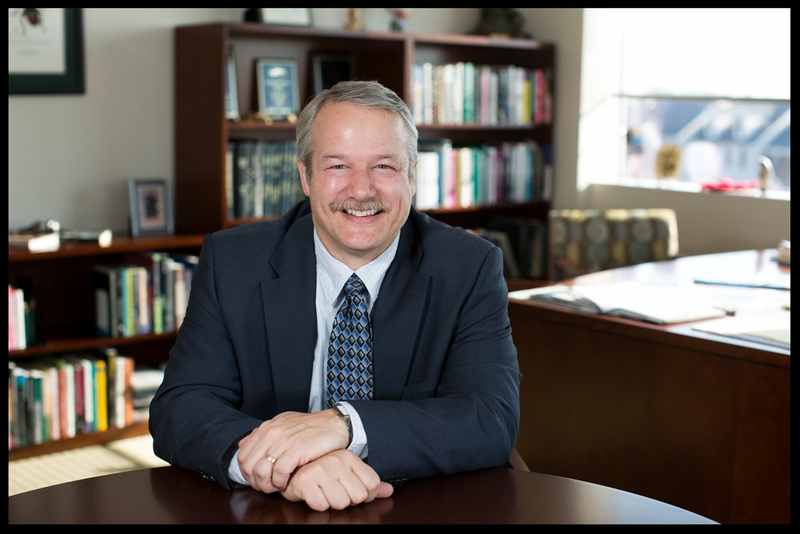 Dr. Crandall graduated from Kalamazoo College (1987) with a BA in Mathematics and Biology. He then earned an MA (1993) in Statistics from Washington University in St. Louis and a PhD (1993) in Biology and Biomedical Sciences from the Washington University School of Medicine. He then completed an Alfred P. Sloan Postdoctoral Fellowship in Molecular Evolution at the University of Texas in Austin. For a complete list of publications, please visit Dr. Crandall's GoogleScholar page. Stern, D. B., Nallar, E. C., Rathod, J., & Crandall, K. A. 2017. DNA Barcoding analysis of seafood accuracy in Washington, DC restaurants. PeerJ, 5, e3234. Pérez-Losada, M., Alamri, L., Crandall, K. A., & Freishtat, R. J. 2017. Nasopharyngeal microbiome diversity changes over time in children with asthma. PloS one, 12(1), e0170543. Hinchliff, C.E., Smith, S.A., Allman, J.F., Burleigh, J.G., Chaudhary, R., Coghill, L.M., Crandall, K.A., Deng, J., Drew, B.T., Gazis, R. and Gude, K., 2015. Synthesis of phylogeny and taxonomy into a comprehensive tree of life. Proceedings of the National Academy of Sciences, 112(41), pp.12764-12769. Pérez-Losada, M., Castro-Nallar, E., Bendall, M.L., Freishtat, R.J. and Crandall, K.A., 2015. Dual transcriptomic profiling of host and microbiota during health and disease in pediatric asthma. PloS one, 10(6), p.e0131819. Castro-Nallar, E., Bendall, M.L., Pérez-Losada, M., Sabuncyan, S., Severance, E.G., Dickerson, F.B., Schroeder, J.R., Yolken, R.H. and Crandall, K.A., 2015. Composition, taxonomy and functional diversity of the oropharynx microbiome in individuals with schizophrenia and controls. PeerJ, 3, p.e1140. Richman, N.I., Böhm, M., Adams, S.B., Alvarez, F., Bergey, E.A., Bunn, J.J., Burnham, Q., Cordeiro, J., Coughran, J., Crandall, K.A. and Dawkins, K.L., 2015. Multiple drivers of decline in the global status of freshwater crayfish (Decapoda: Astacidea). Phil. Trans. R. Soc. B, 370(1662), p.20140060. Hong, C., Manimaran, S., Shen, Y., Perez-Rogers, J.F., Byrd, A.L., Castro-Nallar, E., Crandall, K.A. and Johnson, W.E., 2014. PathoScope 2.0: a complete computational framework for strain identification in environmental or clinical sequencing samples. Microbiome, 2(1), p.33. Byrd, A.L., Perez-Rogers, J.F., Manimaran, S., Castro-Nallar, E., Toma, I., McCaffrey, T., Siegel, M., Benson, G., Crandall, K.A. and Johnson, W.E., 2014. Clinical PathoScope: rapid alignment and filtration for accurate pathogen identification in clinical samples using unassembled sequencing data. BMC Bioinformatics, 15(1), p.262. Bracken-Grissom, H.D., Ahyong, S.T., Wilkinson, R.D., Feldmann, R.M., Schweitzer, C.E., Breinholt, J.W., Bendall, M., Palero, F., Chan, T.Y., Felder, D.L. and Robles, R., 2014. The emergence of lobsters: phylogenetic relationships, morphological evolution and divergence time comparisons of an ancient group (Decapoda: Achelata, Astacidea, Glypheidea, Polychelida). Systematic Biology, 63(4), pp.457-479. Francis, O.E., Bendall, M., Manimaran, S. and Hong, C., 2013. G. Bruce Schaalje, Mark J. Clement, Keith A. Crandall & Johnson, WE (2013). Pathoscope: Species identification and strain attribution with unassembled sequencing data. Genome Research, 23(10), pp.1721-1729.